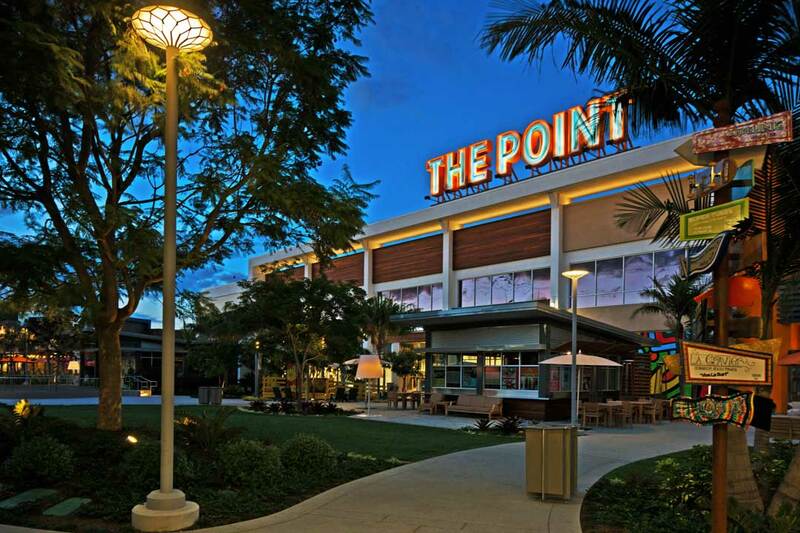 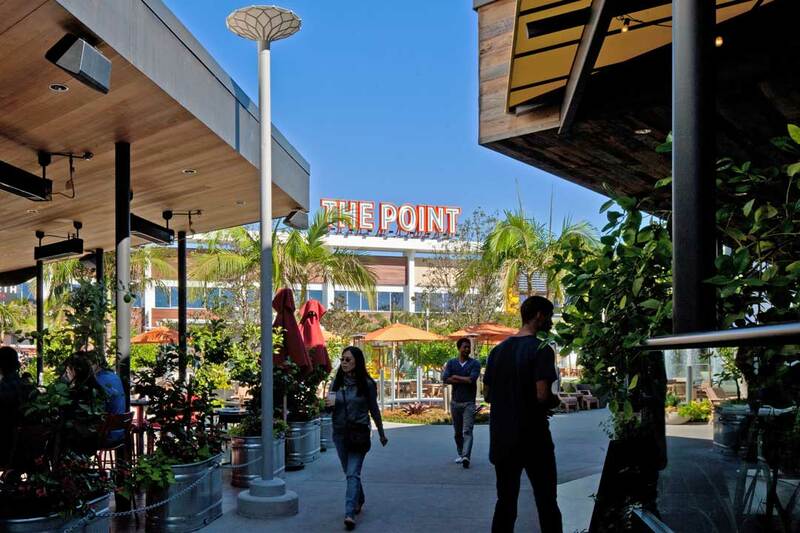 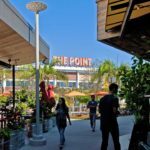 The design for The Point basically flips the idea of a typical retail center inside out by facing all of the shops and restaurants within the 115,000 SF lifestyle project towards each other, creating a central lawn arena that provides a cozy landscaped “living room” that is perfect for inspiring community gathering. 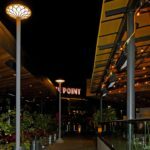 The cost-effective lighting plan provides a natural look that blends with the landscape design by giving off a warm glow in all directions. 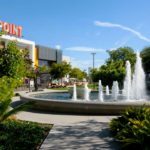 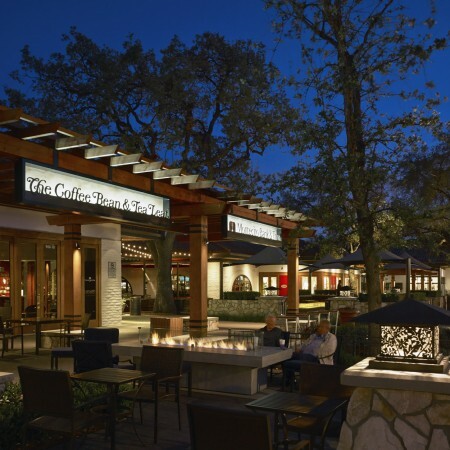 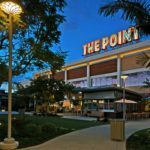 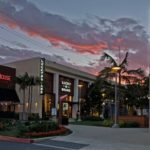 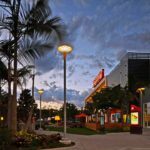 Fixtures are situated around the promenade walkway and not in the open lawn to make the more public areas brighter while still maintaining a dreamy garden feel with less invasive floor lamps, tree uplighting, and festoon lighting. 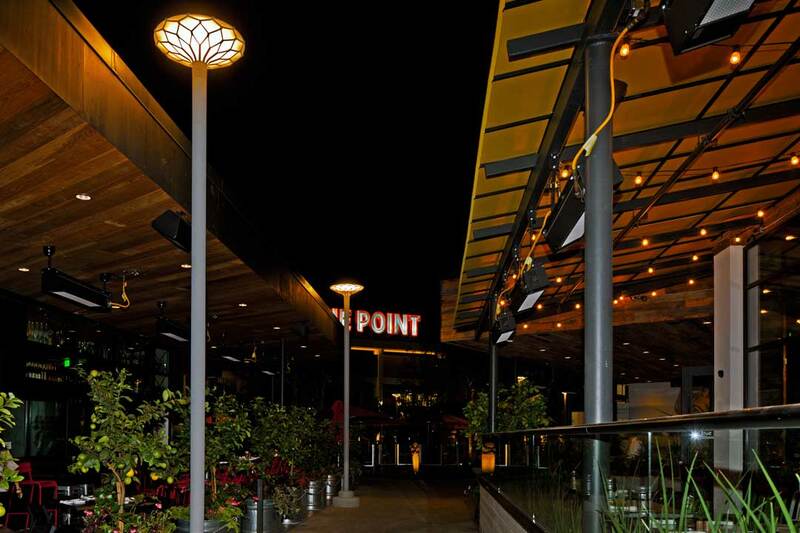 Entry points all get their own look and feel from catenary icon lanterns on one to “moonlight” gobos on another. 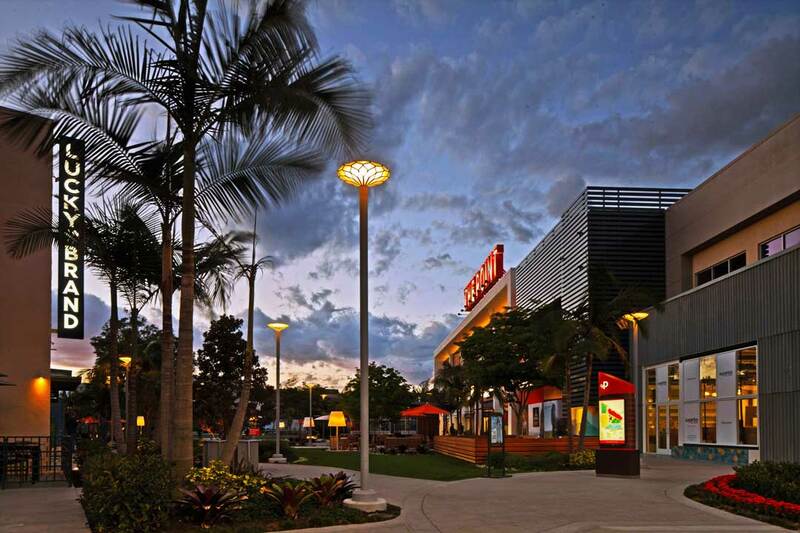 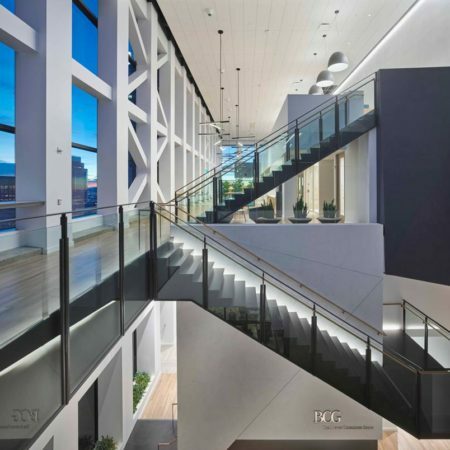 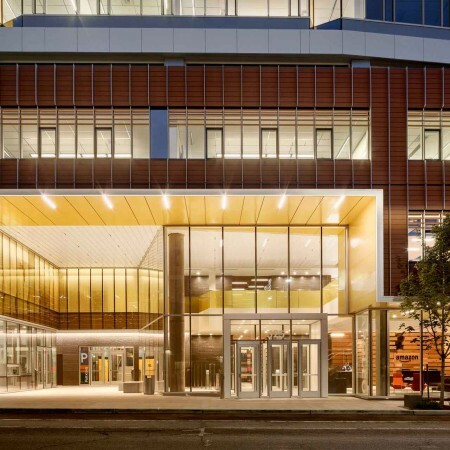 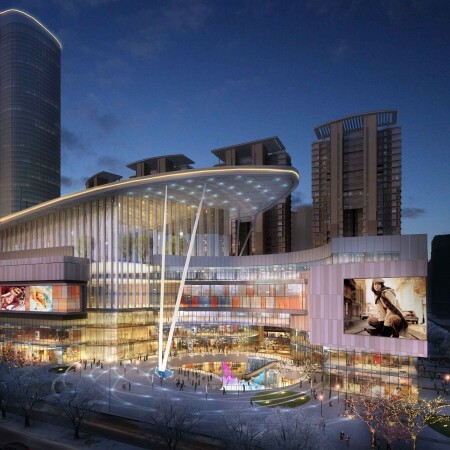 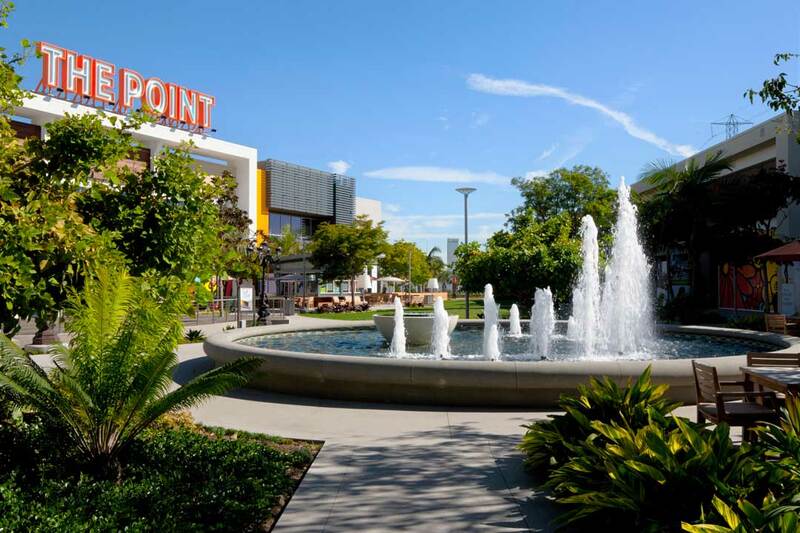 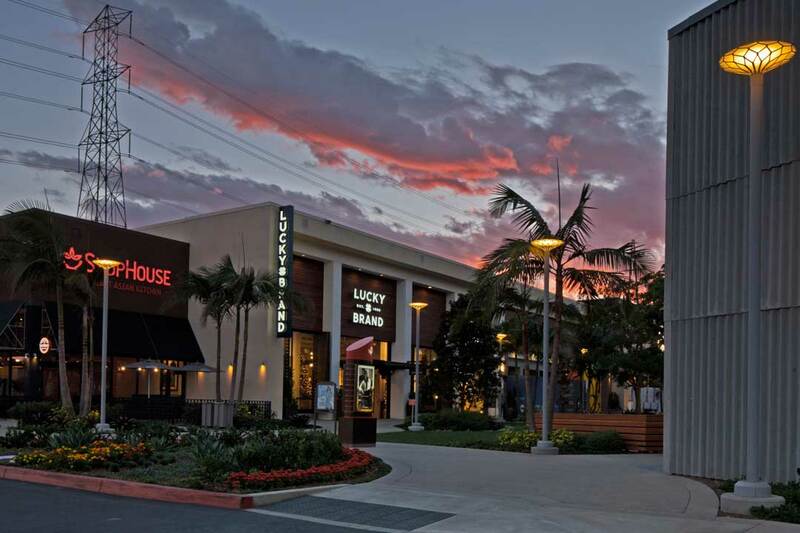 *This project won an ICSC U.S. Design & Development Commendation/Commendation for Sustainability Award.